IMPACT trade union claimed staff at the facility were not given proper protective gear when dealing with violent detainees. 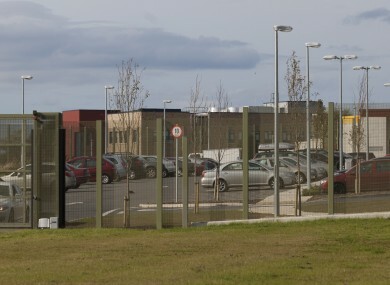 STAFF AT THE Oberstown youth detention facility are to strike in the New Year after they balloted for industrial action earlier this week. IMPACT trade union, which represents social care workers, night supervising officers and unit managers at the Dublin facility, voted to implement the action in early 2017, citing concerns for their safety. The action must be sanctioned by IMPACT’s executive council and it is understood this will happen in the New Year. The union has to give management at least one week’s notice before commencing industrial action. Pat Bergin, director at the Oberstown campus, said he will engage with the Workplace Relations Commission to bring about a successful resolution to the industrial dispute. Addressing staff fears, Bergin said a number of external reviews are underway at the campus including an operational review, health and safety review and a security review. However, IMPACT assistant general secretary Tom Hoare said management was failing to meet its health and safety obligations. He said his members were forced to strike “as a result of management’s refusal to make personal protective clothing available in dangerous situations, where there was a high risk of assaults on staff”. Hoare said: “Oberstown management is in denial about the level of risk to its staff. We are simply seeking the provision of adequate personal protective clothing and equipment for use when care staff encounter violence and the threat of violence. This would be uncontroversial in any other working environment, let alone one with a long history, and continuing reality, of violent incidents and assaults on workers. The most recent official figures supplied by the Department of Children and Youth Affairs found over 100 violent incidents in Oberstown in 2015, almost half of which were classed as ‘critical’. Critical assaults and injuries necessitated a total of 3,005 employee sick days, involving 65 staff members. Email “'Regular violent assaults' lead staff to strike at Oberstown youth detention facility”. Feedback on “'Regular violent assaults' lead staff to strike at Oberstown youth detention facility”.